The Ricochet represents the 3d Brooks with DNA AMP polyurethane (PU) in the midsole after the Levitate and recently introduced guided stability Bedlam. Whereas the the Levitate and Bedlam have 100% DNA AMP midsoles, the Ricochet is targeted as a more “up tempo” option, with DNA AMP under foot then and then below Brooks standard BioMoGO DNA EVA blend. EVA is lighter and thus part of the concept is to reduce the considerable weight of its siblings while combining the pneumatic, long last resiliency of DNA AMP with more conventional lighter materials. The Ricochet comes in at approximately 10.3 oz/292 g for a men’s size 9, so at the high end of a performance oriented trainer and about the same weight as the Ghost 11, but still considerably less than the Levitate 2 which weighs 11.7 oz. All three DNA AMP models share Brooks FitKnit upper and a similar outsole configuration although the Ricochet has a more conventional rubber outsole than the other two’s translucent rubber. Of course comparisons also come to mind with the identical weight Brooks Ghost 11 daily trainer, lighter 9.2 oz Launch 5 performance trainer, and 9.5 oz Ravenna 9 light stability trainer. We will compare all of those as well as others here, Well, in the end while weights do matter, in the end it is about ride and purpose. "A lightweight that is anything but"
Rarely has so much innovation weighed so little. The Ricochet sits in the Brooks Energize quadrant of shoes between the Launch and Levitate in the neutral category. Energize shoes are characterized as being Springy and Responsive. In more support oriented models Energize includes the Ravenna and new Bedlam and for trail the Caldera. Read on to see how it measured up to the headlines. Dave: Brooks has been for sure one top few brands in sales in the run specialty marketplace for many years. However, stale colorways, heavy weights and just lack of innovation really left them off of my foot for at least the last 10 years. This said 2018 so far for me proves to be a step in the right direction for the Seattle based company, as they really have upped their game. Far better uppers through the use of knit, BioMoGo DNA midsole technology, which I absolutely loved in the Ravenna 9, and better looking aesthetics are letting me now give these guys a closer look. I was not the biggest fan by any means of the Levitate 2 due to its heavy weight and the sense it was “beating up” of my legs as the run distance increased, but with the Ricochet said to to be a lighter more “performance” trainer with a mix of BioMoGo and the new DNA AMP, I wanted to give these a spin. My size 9 was spot on, and the knitted heel collar gave me no issues or slippage. Sam: The fit was true to my size 8.5 and with this FitKnit upper Brooks lightenned things up compared to the very dense and I might say overly supportive Levitate 2 upper. The knit is more dense and a bit stiffer than the Ghost 11’s engineered mesh with a slightly more performance oriented fit, a touch shorter and narrower than the Ghost and noticeably snugger or lower volume right over the top of the instep. I initially laced as I normally would, fairly snug, but after mere yards felt pressure over the top of the foot. Lacing considerably less tight completely solved the problem along with light socks. The lace loop which connects the knit ankle collar to the lacing is lighter and more pliable than Levitate’s but still noticed. The achilles hold is fine but not exactly plush. I noticed some rough not particularly plush feel at the top of the knit collar at the achilles, but it didn’t cause any issues. I recommend staying away from no show socks in the Ricochet. Peter: My first impression was WAY more positive than subsequent thoughts about the Ricochet. The Ricochet is a pretty good looking shoe. I like the overall styling and they felt to be a decent weight. With a name like Ricochet and all of the marketing speak about DNA AMP and BIoMoGo together I thought “Hey, this could be great”. I was little worried about the preponderance of rubber on the bottom, but maybe that just means they’ll last forever! I liked the way they felt when I stepped into them. A nice feeling upper and decent feeling around the feet...Stay tuned for 2nd and 3rd impressions. 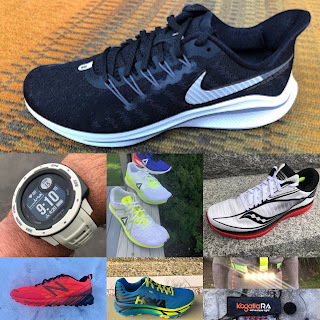 Jeff: My first impression was “I’m home”, the shoe felt great, and while being a little on the heavy side for a more up-tempo shoe, I liked the amount of cushioning underneath. Straight away I really enjoyed it, but that enthusiasm calmed down some as I put more and more miles on it. I couldn’t help but notice many similarities to the Levitate 2, but a few subtle changes felt like they were to the shoe’s detriment (but more on that later). That said, it is the first Brooks shoe I have worn this year that seems to be true to size. I’m normally a 10.5, but I went 11 in the Glycerin 16 and Levitate 2, which were perfect. The 11 in the Ricochet may be just a touch long, but that just helped give an okay toe box that much more room. Sam: The FitKnit upper for sure matches the performance focus of the shoe. I am not sure I am a big fan of FitKnit ( or for that matter any knit upper FlyKnit, GoKnit etc..) Here it is fairly dense and non stretchy (in a good way) and more mesh like than most engineered mesh these days. I really wonder about the advantages of knit collars which I guess is the real “knit” part beyond aesthetics. All of this said, it is a fine and secure upper with a well executed if a bit to substantial knit collar and with a more performance oriented fit than the Ghost, Glycerin, Levitate and for me also the very unstructured Launch 5. I wonder why the ankle and heel collar is so high, not just the knit and connection at the lace up with its fairly stiff webbing piece but the heel counter and ankle and achilles collar which just below the knit is quite firmly and substantially if thinly padded. Really a bit to much support and substance for my tastes and actually for the stable underfoot platform and rest of the upper which for sure takes care of stabilizing the rear of the shoe. Dave: Ricochet uses Brooks new FitKnit upper. In a run game now where almost everyone is going “knit” and Brooks does a really good job with it here. The FitKnit molded to my foot beautifully from initial step in and my foot was locked and loaded the way I like a trainer to fit. I ran 14 miles out of the box on a very humid morning in Newport Beach, CA (94% humidity- - Yes, SoCal has summer humidity) and my shoes were dry as a bone when I was done with my run. You don’t see that all the time on humid runs with knit uppers. Peter: For me the knit upper is the only truly positive aspect of the shoe. I like how it holds my foot, it looks good and it does a good job handling moisture. Jeff: The FlyKnit upper felt fine, and even in late August and September in Phoenix, I didn’t have heat issues. However, the material that makes up the upper felt much more coarse than the Levitate 2. That may give it extra durability, but I had no durability concerns about the Levitate. Also, the Ricochet shared the Levitate’s lack of an extra eyelet at the top allowing you to lock in your ankle (if need be, my medium to high volume foot doesn’t need it - but this isn’t just about me after all), but the Levitate has a nearly adhesive level of grip on the inside collar. The nubuck feeling material just grabs your sock and won’t let go in the Levitate, and nothing like that happens with the Ricochet - so if you are prone to heel slip that could be an issue. The feel is steady, stable, purposeful, and without much pop. All serious business here. Unlike the Levitate the pneumatic measured rebound of the DNA AMP is barely felt here, just a slight sensation of softness and pneumatic rebound. This is one very stable midsole for a neutral shoe. I am quite sure that this midsole will last practically forever given the DNA AMP PU midsole is supposed to stay more resilient and consistent than EVA during the run and over the life of the shoe. It is also more consistent in feel across temperature ranges than EVA such as BioMoGo. If you are looking for longevity and long mileage life from your midsole and if you typically crush midsole anywhere front or back Ricochet may be for you. Of course this potential long life is helped by the copious rubber coverage. There is a tremendous amount of substance under foot here with strangely a more ponderous midsole feel than the Levitate 2 entirely made of much heavier all DNA AMP. Could it be that the glue layer between EVA and AMP gets in the way of flex as the Ricochet has a shorter flex than Levitate and for sure Ghost and also a less snappy flex than Ghost? Or do these two different feeling midsole materials in full layers just don’t feel good put together? Probably a bit of all of the above. I wonder what a DNA AMP heel insert in an all BioMoGo DNA midsole would feel like? Of course one must also consider flex grooves in the midsole and the outsole. Strangely the flex grooves into the EVA layer upfront appear slightly shallower and narrower yet than Leviate’s and the decoupling arrow line from heel towards midfoot is unlike the Leviate or Ghost bridged with rubber at midfoot and considerably shallower and narrower at the rear crash pad. The Ricochet is decently flexible but doesn't actually feel that way at any pace. While I can’t be sure exactly what causes the Ricochet to transition back to front somewhat more ponderously than the heavier Levitate 2 I suspect the midsole grooves and lack of more pronounced decoupling from heel through mid foot are for sure a factor. The Ricochet also has a considerably shallower and narrower rear crash pad decoupling groove than Ghost and a shallower and smaller center rear midsole cut out (“DNA”) than either Ghost 11 (right above) or Launch 5 (left above). Again I think these differences contribute to the great steady stability of the Ricochet but also its ponderous and somewhat dull transitions pretty much at any ace. For sure the Ricochet could use deeper flex grooves and I am puzzled as to why they are left out. The sum of all of this is that while this is a fairly but not unreasonably stiff midsole to flex with no distinct flex point unlike its cousins, a very stable ride and a shoe with a somewhat ponderous landing, transition, and toe off. On the run. these characteristics translated to great stability at recovery run paces and decent if very muted response at faster paces but not much fun at moderate paces in the middle as it takes work to transition the shoe from mid foot. The cushion is on the firm side at the heel and for my tastes just about right at the forefoot: dense, protective, and very stable. I wonder what might happen if Brooks reduced the DNA AMP layer somewhat and made it a touch softer or inverted the layers. Dave: Ricochet combines Brooks BioMogo DNA EVA with the new DNA AMP (polyurethane) technology placed underfoot. Unfortunately, this is where the shoe runs into problems for me. These midsole compounds are excessively heavy, and if Brooks is going to term this a fast performance trainer companion to Levitate, it’s not going to get the job done for me. You can easily feel the weight of Ricochet on your foot, compared to performance trainers I have loved so far this year like Saucony Kinvara 9 or Skechers Performance Razor 2, which feel like you have absolutely nothing on your feet. I was quite disappointed that Brooks boasts “unparalleled energy return” from this midsole compound, because it felt “dead” from the first mile of my initial 14 mile run. Each run since has proved to be the same. This one needs to go back to the lab. It’s a dud, even on easy recovery days. It is smooth from heel to toe (kind of), but lacks character. Lack of character will always having me dinging a shoe for points. I just don’t find myself reaching for this shoe on a regular basis. Peter: I’ll let Sam handle all the nuance. I’ll just say they feel dead as a doorknob to me (is that a saying?). They are as un-fun (is that a word?) to run in as anything I’ve put on this year. It was a real disappointment for me. I don’t feel any pop from the midsole. Blah. Jeff: I can’t help but agree with everything said before me. In a several email long chain that started as we received test samples, I was the lone dissenter and champion of this shoe, convinced that everyone else was missing out on a great, if “no-frills” feel shoe. As I stacked up miles on it, I started to see the problem. It doesn’t do anything remarkably well. My M11 was 11.5 ounces, but I could come up with dozens of descriptors before I’d think about using the word “plush”, and in my mind that’s the type of weight that should lead to a plush shoe. It reminded me of the Launch I ran briefly in a few years ago, and was similarly disappointed in. It may have more cushioning that the Launch, but it is a definitely step down from the Ghost. I am not 100% convinced that the DNA AMP is perfect on its own in the Levitate, and I like the idea of mixing two types of cushioning, but the DNA Loft cushioning found in the Glycerin 16 and Ghost 11 feels much more plush than the Bio Mogo DNA, and maybe that’s what this shoe needs. But then you have to wonder, why not just stick with the Glycerin or Ghost? Sally: I was actually in the same initial camp as Jeff: I liked the Ricochet after the first run or two. Not as heavy and soft as the Levitate, possibly quicker than the Ghost. But as I ran on them more I found myself wondering why I was somehow struggling on my should-be-fun runs: was it the summer heat and humidity? That second (or third) beer the night before? I felt flat-footed, no easy flow to my gait. This shoe made me work harder than necessary, which made it harder and harder to choose this shoe for the next run. Sam: Copious amounts of fairly firm rubber here. For sure this outsole will last a long long time as will the midsole. I think the outsole is just not segmented enough when compared to its Ghost and Launch cousins. It almost feels like Brooks got carried away with under foot visual design to match the other DNA AMP shoes, forgetting the great progress they have made in outsole and midsole integration with Ghost 11 and Launch 5. Dave: You’ll see some decent outsole rubber coverage on the Ricochet. At first I thought that may be what was really weighing this shoe down, but after a bunch of runs in it, it’s still definitely the midsole mix of BioMogo DNA and DNA AMP. I think Sam and I may disagree on this here, but it’s I can totally feel that the midsole is weighing this shoe down. I did like the grip on roads and it worked well on my medium long run when ground up gravel and dirt was underfoot. Jeff: I liked the outsole. It had plenty of grip and coverage, so much so that I took my Ricochet on a five mile trail run with zero issues. After the first two runs I even had it in contention to be my race day shoe for an upcoming trail 25K (it’s a very smooth dirt course with few rocks), and the outsole was a big part of that. I don’t think the outsole is the major factor standing in this shoe’s way - I think the midsole takes care of that all on its own. Sally: The outsole is definitely going to last for many miles, and it definitely provides good traction on slick roads, but does it flex enough? Is this part of the reason I felt flat-footed? Dave: Ricochet was never really that smooth from heel to toe. At first I thought it transitioned well, but the more miles I got on it, I really never felt at home with it on my foot. But other than that, it really was just kind of well, boring. In fact, Levitate had more “pop” to it for me than this shoe. Isn’t that kind of backwards from how Brooks markets both? While the shoe may transition well, by the time I get to toe off, it’s just plain dull. I find myself forcing more of a harder toe off. That’s never a good indicator of performance to me. The shoe does not beat my legs up like Levitate does, so it has that going for it, but I basically wish it packed much more power. Long story short: I have far more pleasurable shoes in my arsenal to pull over this. There’s really nothing fast or smooth about it. Sam: Got to agree with Dave at least partially here. This is a tough shoe to love. All business here. The ride is stable, dense, and well if firmly cushioned. I never knew what to expect each time I took them out. I did find that Ricochet made a good recovery shoe when you wanted good support and a cushioned stable ride. They never beat me up but they made me work quite hard to transition at moderate paces. I often had a distinct sense at those paces that I was stuck at midfoot: the lack of a flex point, the shallow grooves into the midsole, incomplete decoupling the unsegmented front outsole, a sense of mismatch between midsole materials, who knows..
Peter: Dave nailed it. I had to work too hard to get this shoe moving. It just felt ponderous. Jeff: Not to contribute to the never ending echo, but I really didn’t like the ride. Again, in the first two runs I thought it was okay, not amazing, but not bad by any stretch. Every run after that gave me zero enthusiasm to run in them. I would agree that the Levitate had substantially more pop than the Ricochet, even with the extra weight and cushioning. I’ve never had such a 180° turn on a shoe before in such a short time, and it is all because of the ride. Looking back I don’t know what made me enjoy the first two runs, but it almost felt like a different shoe after 10 miles. They could have named my pair the Werewolf, as it started out as a mild-mannered if slightly overweight daily trainer with plenty of durability and solid easy miles capability and then overnight turned into a clump of rubber and a mixture of cushioning that sapped my enthusiasm for running right out of my feet. Not a good look. Sally: Sorry to repeat the echo, but what Dave said! Running should be FUN. This shoe is WORK. “The Ricochet: Rarely has such innovation weighed so little.” Um, well guys and gals in Brooks marketing….it weighs 10.3 oz in my size 9! They’ve also labeled this as Brooks best energy return.” There is no return. To be clear this is also not a performance trainer! On the bright side, I do see Ricochet as a shoe for the Brooks fan.. And that’s totally fine! They’ll still sell a ton of them! Just don’t expect it to wow you. Every runner is different, every foot is different and every stride is different on a runner. Ricochet just didn’t sell me. The marketing didn’t sell me. Dave’s Score: 7/10 - Please send back to the lab. Totally loved Ravenna 9. Thought Brooks was onto something this year. Unfortunately, they have failed to deliver with Ricochet. It has the makings as Jeff said of being legit. But it struggles in the midsole. Brooks needs to re-think midsole compounds. I can guarantee Desi’s shoe in Boston didn’t feel this blah! Not a shoe for me. I don’t think there’s any excuse for a shoe to be this heavy at this point in time. So many companies have great feeling shoes that are OUNCES lighter and feel great. Sure, maybe the Ricochet will outlast the NB Beacon, but I’d buy a pair of Beacons any day over the Ricochet. My snarky comment to Dave when I first ran in these was that it felt like someone had pulled a 5 year old ASICS shoe out of a bag and told me to go run in it. -1 for being way too heavy for a modern shoe. Disappointment of the year. I’m fully aware that I like liking things, so running in a shoe that makes me want to stop running is a huge bummer. While I think the DNA AMP isn’t quite perfect, clearly mixing it with their more traditional cushioning doesn’t do the shoe any favors. It’s plenty durable, and looks great, but the ride makes a heavy shoe feel even heavier. Peter’s remarks about feeling like an aged ASICS is spot on. The Ricochet could be a great trainer for your 120 pound high school freshman who is looking to get a lot of miles out of a shoe without much fanfare. As a Clydesdale that’s rounding the bend on my twenty year reunion, that clearly isn’t me, but it has the makings of a good shoe. Unfortunately it comes at a time when we are seeing so many great shoes, it’s hard to recommend this over the Ghost 11, New Balance Beacon, Nike Epic React, Skechers GoRun Ride 7, or so many more. -.5 for the coarse upper. $30 less than the Levitate, but the upper makes it feel like a much cheaper shoe. $120 should still get you some level of premium. -2 for the ride. From unremarkable at its best to soul crushing at its worst, if you told me this was the first shoe produced by a start up coming together in someone’s garage - I’d probably believe you based on the ride. Uptempo trainer? Not even a little for this heavy runner. -.5 for the weight. I realize it’s a full 1.2 ounces lighter than it’s big brother/sister the Levitate 2, but the Levitate 2 is a much better shoe. If Brooks had released a Ricochet in the 7.5-9 ounce range, it might be a much better shoe. It would certainly be a different one. Well the Ricochet was not exactly what I expected. I thought it would a livelier, lighter version of the Levitate which could substitute for the Ghost 11 for Brooks fans seeking a more responsive dynamic yet well cushioned ride and also one with more stability and substance than the Launch 5. Yes, it is a firmer more stable ride than the fine Ghost and more supportive than the Launch and yes it is clearly lighter than Levitate but the Ricochet is lacking in personality and get up and go feel for me. It is clearly firmer and denser on the run than all of its cousins: Ghost, Levitate, Glycerin, and even Launch 5 yet while still being very well cushioned and stable. I suspect that heavier runners (I weigh 164 lbs or so) who can really compress and drive the midsole and those who are very rough on their midsoles and outsoles will like this shoe. While I do not have huge miles on it its materials (PU and BioMoGo DNA EVA over a very full coverage outsole and topped with a stout upper )should have this shoe lasting incredibly long while through the resilience and temperature stability characteristics of the PU DNA AMP midsole retaining a consistent ride feel over time and varying temperatures. Call it a not very exciting or dynamic workhorse trainer that should last a long, long time. -1 for dense ride which was quite ponderous to transition and dull in feel. -0.5 for weight. A more performance oriented trainer rarely if ever weighs more than 10 oz these days. If it is something else, and I think it’s a daily workhorse trainer, it should be called as such. Initial impression aside, I did not like this shoe. I really tried to like it, but it had no pop or pizzazz or personality and made running a chore. I want to have FUN when I run, so this shoe is not going to leave the closet. Sorry. -2 for the ride. Midsole is flat. Hot and humid summer conditions might make a runner feel sluggish, but this shoe exacerbated the dog days of summer immeasurably. My apologies to my beloved dog. Dave: I have found they feel oddly similar, minus the loud slappy sound you’ll get from the Wave Rider due to it’s plastic wave plate. They both just are plain, dull. Both are hard to transition and hard to feel smooth in. Can’t really give the nod to either, but I’ll go with Ricochet for a far better upper. Peter: Please don’t make me wear either. Sam: While considerably heavier its all AMP DNA PU midsole Levitate 2, with no EVA in the mix as Ricochet has, Levitate is more fun and smoother running and with a easier to move feeling than Ricochet. It has a consistent far more noticeable pneumatic compression and rebound from the full DNA AMP midsole and and a relatively easier, more fluid flex. It’s similar upper is overbuilt in my view especially at the connection of laces to knit collar in comparison to Ricoche'st but is overall a bit more accomodating. Dave: Both heavily marketed shoes, who for me at least, failed to deliver. Ricochet is marketed a being the speedier, more performance oriented shoe of the two. Well, I honestly think the Levitate packs more pop. It’s kind of backwards as I stated above. Both are excessively heavy and the DNA AMP doesn’t deliver. Add in the BioMoGo EVA in the Ricochet and it made things worse. My personal pick here is skip both. Sounds harsh I know. But I wouldn’t waste my money on either. Far better shoes out there by other run brands and from Brooks to choose from! Jeff: I’m a little in the Sam camp and a little in the Dave camp. Of the two, the Levitate 2 is the clear winner, but there are enough other shoes that I could recommend without qualifying it’s hard to point the Levitate 2 as the way to go. While it does have better cushioning and more pop, it is still plenty heavy and has a unique ride that may not be to everyone’s preferences. Sam: At about the same weight Brooks provides a real choice here. Pick the Ghost for a softer ride, easier smoother transitions, if a touch less firm response, and a slightly more accommodating upper. Its considerably greater drop, 12mm vs 8mm for the Ricochet, is not that noticeable given the new soft DNA Loft heel insert in the Ghost which helps smooth transitions. Pick the Ricochet is you want a denser more stable overall feel, a somewhat more performance oriented upper and you are hard on your midsoles. For me the Ghost 11 is the best yet in the series and clearly tops the Ricochet as one of the best daily trainers out there. Sally: Several of my 20 something kids have long run in the Ghost, and it seems to garner awards every year. I would choose the Ghost over the Ricochet any day for a quicker transition and softer feeling daily trainer. Why make your run harder? Dave: The Launch 5, while not my favorite iteration of the Launch has way more pop and is much more fun to run in. I’d love a Launch mid and outsole married to the Ricochet upper! Sam: The Launch 5 is softer, more flexible, and less stable all over. Agree with Dave that putting the Ricochet upper on the Launch would make one heck of a combination as the Launch 5 upper at mid foot over the narrow under foot platform just doesn’t provide great support. The Launch 5 is more fun to run but I found that my forefoot fatigued far more in them than in the Ricochet. Sam: The Cumulus is another stable supportive neutral shoe in the same vein as the Ricochet. It’s upper and high rear collars and heel cup is quite frankly overkill getting in the way of transitions a touch and overall its upper just isn’t as polished as Ricochet. While the heel feel is similar, the Cumulus has a smoother transition and great forefoot road feel with plenty of cushion where the denser Ricochet is somewhat dead feeling and slow up front. Sam: While not a fan of posted shoes the Ravenna pulls off a stable ride with a lively flexible forefoot far better than the more monolithic feeling Ricochet. Dave: Ravenna 9 is one of the best shoes I have run in so far in 2018. I’m a neutral shoe runner and like Sam definitely not a fan of posted shoes, but it delivered a nice punch. Yes, it was a tad heavy in the 9 oz plus range, but honestly, I never noticed it. I found myself doing more tempo in the shoe because the forefoot pop was outstanding. Jeff: Yes, the Ricochet is billed as a more uptempo trainer vs the Glycerin and all of it’s plush glory, but the G16 is less than 0.3 oz heavier and yet feels lighter on the foot than the Ricochet. It is more comfortable to run in, and I’d argue it feels better while pushing pace than the Ricochet. At this point it seems like DNA Loft EVA is much better than DNA AMP PU midsoles for me. Jeff: Another unfair comparison because the Skechers is just so good. Nearly two ounces lighter, but much more fun to run in, they have a similar knit upper that isn’t necessarily luxurious - but the GRR7 is $30 less and a much better shoe to boot. Dave: Ride 7 is one of the best shoes of 2018. Period. It’s one of the best trainers of the last 5 years. Period. Sam: Ride 7 is a far more lively lighter shoe but one with considerably less under foot stability especially up front. The Ricochet is a better recovery, slow pace shoe for me but that is about it. Jeff: The hits just keep on coming. A true uptempo trainer, the Nike loses points to the Ricochet in durability (minimal rubber on the outsole will do that, but most of the wear seems to show up in the first twenty miles and tapers off after that), the Epic React weighs close to three ounces less, and feels a world apart. The super soft Flyknit upper holds the foot just as well as the Ricochet, and is a joy to run in. Sally: I agree with Jeff in that the Epic React outsole may not last as long, but the Epic React is off the charts in comparison to the Ricochet in the fun to run factor. Sam: While I appreciate the lightness of the Epic React neither shoe’s midsole and ride inspires me. The Epic React’s Flyknit upper is over snug for me at mid foot down low and crude. Ricochet’s upper is far superior in fit for me. Still nod to Epic React as it is so much lighter. Jeff: Bet you didn’t see this one coming? While I was still in the honeymoon phase with the Ricochet, this is the shoe it reminded me of. Comfortable, but maybe not mind blowing, and that’s not a bad thing. Not every shoe should be mind blowing, but the Gravity continues to be a “pretty good” shoe, and the Ricochet continues to be “underwhelming”. 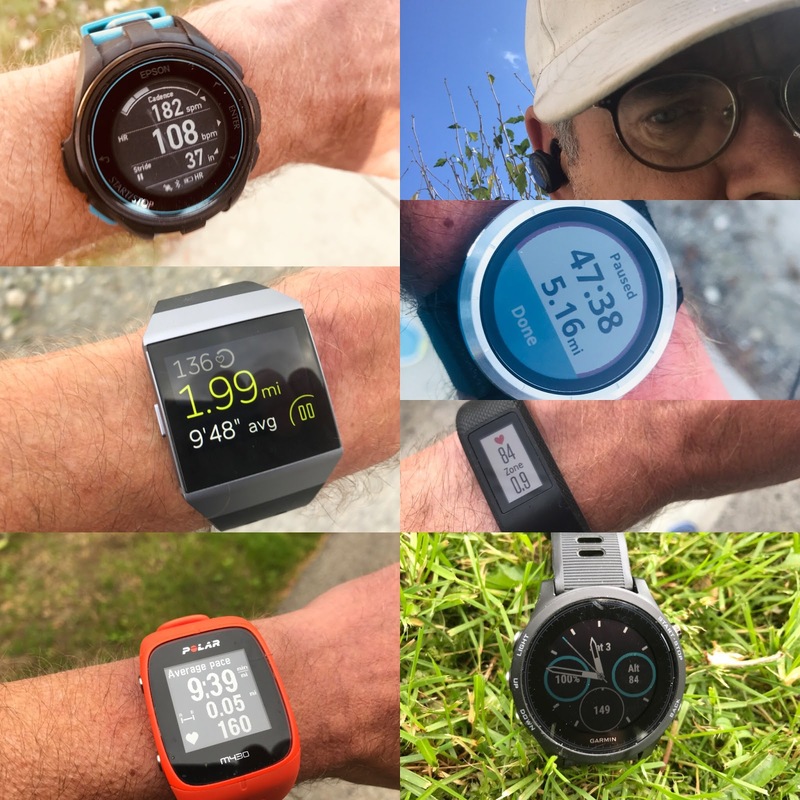 Maybe it’s the missing two ounces of weight, but the Newton feels much more lively. SHOP RUNNING WAREHOUSE FOR BROOKS RICOCHET NOW! I grew to like this shoe more as the miles racked up. It's definitely not exciting though. Major pluses for me are a shape that accommodates a straight foot (the majority of shoes on the market constrict my middle/outer toes but leave a massive flabby universe of space next to my big toe and the ball of my foot); and a midsole character that leaves my feet particularly unfatigued after long runs. And I do find it wakes up a bit at tempo pace, even at my modest 62kg. But it's unnecessarily heavy, and I was surprised how conservative they were with sole flex, so I won't be replacing it – though I'm definitely going to get my money's worth. 400km on it, and basically no signs of wear. For a comfortable, stable workhorse, it's fine. And who knows, maybe the extra weight and stiffness will make me fly faster in my Hyperions. A bit like using heavy training tyres on a bicycle during the winter. I'm keeping my fingers crossed for an even more neutral-friendly Ravenna 10, or a Launch 6 that isn't too short, too wide, and too sloppy. Great review/s, by the way. What about adding a custom fit cushion insoles? Has anyone tried?